I knew it wasn’t going to be pretty, and I was right. As I crossed Key Bridge into Georgetown, I could clearly see that the Potomac River was running very high, very fast and very muddy. There would be no boat rental at Fletcher’s Cove today...and quite possibly tomorrow too. 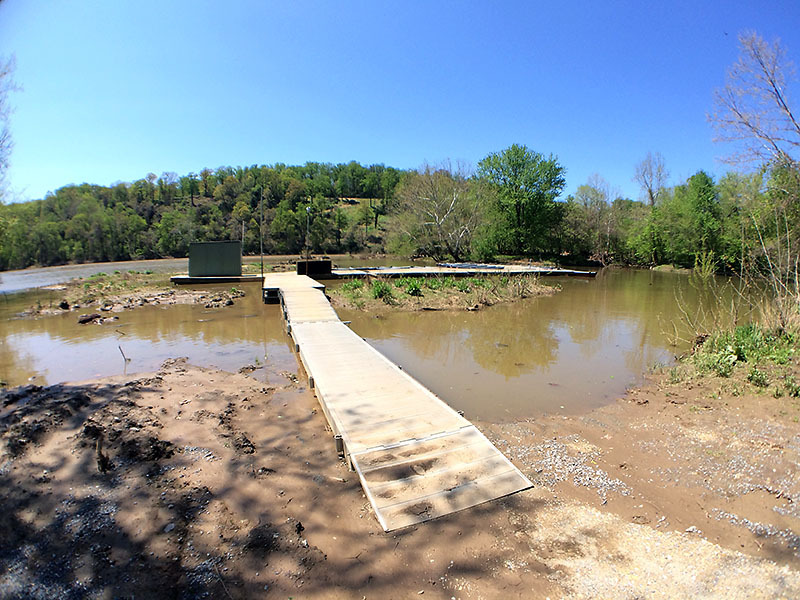 I zipped through the tunnel at Fletcher’s Boathouse, quickly parked and began setting up. I’ve fished in conditions like this before, so I knew the fly rod would be useless. Instead I brought a Shimano 11-foot 6-inch collapsable graphite casting rod and a high speed spinning reel. I usually haul this rig out when the water forces the rowboats to remain at the dock, when I need to sling a shad fly way out into the soft water. Using a light line, a little bit of lead and a cone head shad fly, this rod is capable of firing a cast pretty far from the shore. 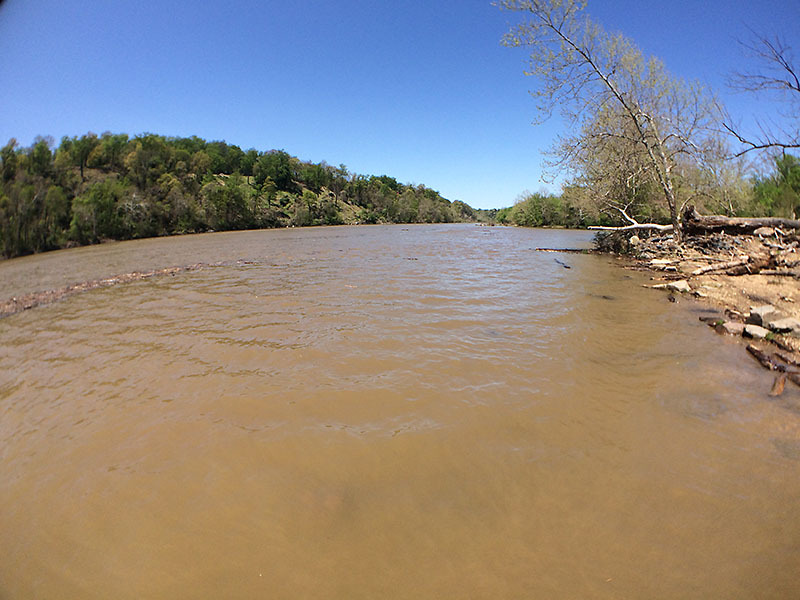 When the water is ugly, when the water is ripping down the Potomac River so fast that it throws up waves over the rocks outside Fletcher’s Cove, the shad will hold pretty close to shore. The quiet water is where they usually hunker down, right on the bottom, dodging debris and waiting for the water level to drop to a reasonable level before continuing their migration up the river. Even though the sun was out it was fairly chilly, especially with a strong wind blowing. I set myself up on a decent rock right on the edge of the water and began to cast. As I was slowly cranking in the fly on the third cast I got a strong take that put a pretty good bend on the rod. A Hickory. I targeted the same spot and got a few more hits and it looked like it was going to be a good day until a raft of debris came floating down the river and settled in right on top of the spot where the shad were holding. I made one more cast, which got snagged on all that floating junk, then gave up for the day. I spent some time poking around different spots along the shoreline. I wasn’t fishing, just looking and taking notes on the water condition and identifying spots where fish might be once the water level dropped a bit. When the water gauge is over 5 feet Fletcher’s will not rent boats and besides, it is way too dangerous to be out there fishing anyway. I love to fish for shad, but it’s better to wait for the conditions to improve a bit first.